Women don’t just watch football, they play it. 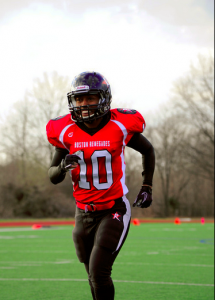 Take Adrienne Smith, a wide receiver for the Boston Renegades, a women’s semiprofessional team. Smith averages 24 yards per catch and has scored a touchdown in almost every game this month. Women’s tackle football is a tough concept for mainstream football fans — and most people in general — to wrap their heads around. People are usually so incredulous about the sport that Adrienne Smith began keeping photos and videos of her team, the Boston Renegades, on her phone as proof. “It makes me angry that here it is in 2015 we are still fighting a gender battle,” Adrienne Smith said. 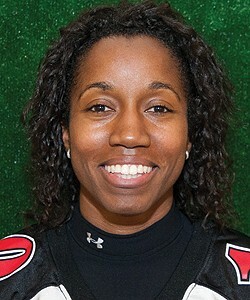 Smith is a women’s pro football player for the Boston Renegades. One of the finest and most accomplished female wide receivers in the world, Adrienne Smith is truly in a class all her own. 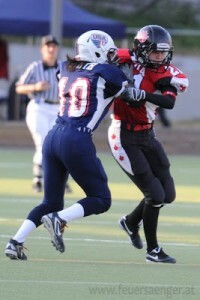 Not only has she helped the United States capture gold twice at the IFAF Women’s Worlds, she registered the first touchdown in the history of the event in 2010. 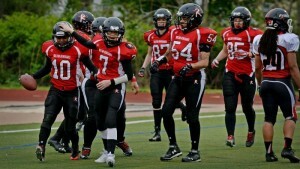 The United States professional women’s football league isn’t all that well-known. 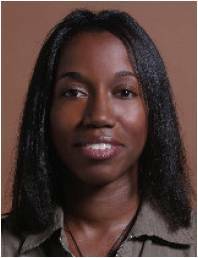 Team member Adrienne Smith, Business ’01, wants to change that. 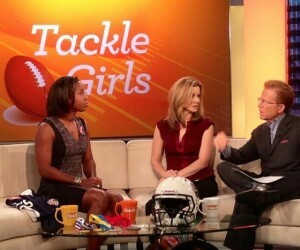 The documentary “Tackle Girls” follows America’s best female football players on Team USA as they tackle their dreams and along the way inspire younger gridiron girls. Receiver Adrienne Smith is part of the gold-medal winning team. 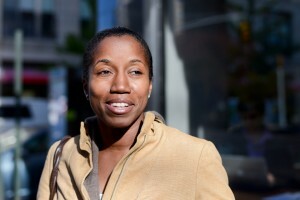 HARLEM — When she was 3 years old, Adrienne Smith had her own ritual on Sundays as her family prepared to watch football. Adrienne Smith is probably one of our favorite athletes so far! It’s absolutely amazing to have a chance to sit down and talk to a woman who has such a big impact on the game – both tackle and flag football. The Patriots are still about four months away so what better way to feed your football cravings than a Boston Militia game? 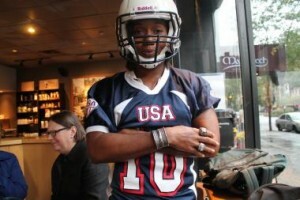 Adrienne Smith a member of the Women’s National Tackle Football team, who scored the first touchdown in the history of women’s international football, talks about being an athlete in New York City and preseason training.